Interested in future of education? Listen to our podcast on ed tech, online degrees, and the future of higher education. The university system faces some big challenges – can ed tech help? 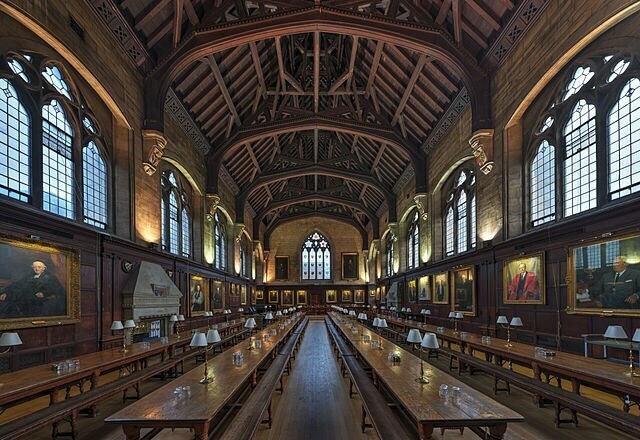 To a great extent, education looks today almost exactly as it did at Oxford 500 years ago – young people sitting in a room listening to an old person. Nobody thinks this pedagogical model is a good one, yet it persists. Our top institutions face the challenge of keeping up, of delivering relevant knowledge today, that prepares students for coming decades – especially as the technological, political, and economic landscape changes faster than ever. Baliol College, Oxford University. Founded 1263. Too-slow modernization is just one of the challenges facing higher-ed. : others include skyrocketing costs; unequal access; a tenure system that makes Universities change-resistant, discourages innovation, and encourages late-career mediocrity; and rampant cost-cutting, which can hinder a country’s growth for generations. I say all this, but Universities are my favorite places on earth – scholarship and life-long education are my highest values! But we cannot really have 21st-century institutions that look and function like 13th-century institutions. Enter 2U, a leading education tech company that’s bringing universities into the digital age. 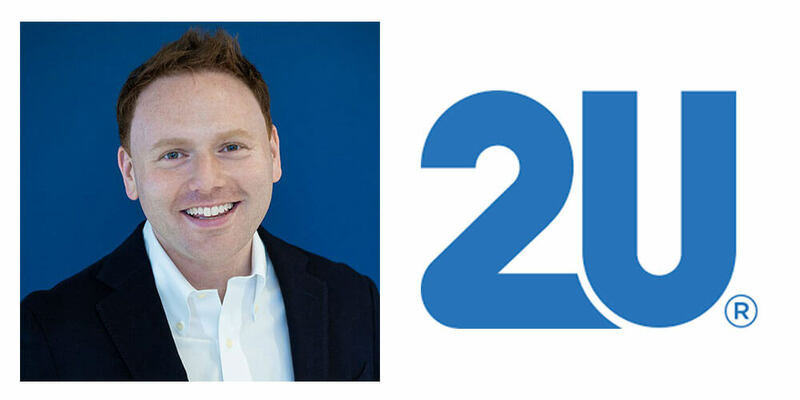 Andrew Hermalyn, the 30-year-old President of 2UGrad, joins us on today’s show to talk about how 2U provides the digital infrastructure universities need to attract, enroll, educate, and support students at scale while delivering high-quality outcomes. With the 2U platform, students can pursue their education anytime, anywhere, without quitting their jobs or moving – and university clients can improve educational outcomes, skills attainment, and career prospects for a greater number of students. As president of 2UGrad, Andrew Hermalyn has global responsibility for university partner growth, relationship management, and program success. He reports directly to the CEO and got his start with the company as its founding intern in 2008. Andrew previously served as Executive Vice President of Strategic Partnerships, and is responsible for many of the company’s university partnerships since its inception. The major challenges higher education faces now and in the future. How we can encourage more people to start businesses at a young age, as Andrew did. The problems 2U helps universities solve in order to better serve their students, their faculty, and their brands. How 2U integrates its philosophy “No Back Row” into everything it does, and my own experience working with 2U students. The unique win-win-win value that 2U can provide to students, universities, and itself. What 2U looks for when recruiting new talent, especially as it’s currently in hyper-growth mode. How 2U fulfills its role as a brand steward while guaranteeing equal rights and access to universities for online students as their on-campus counterparts. How online offerings like 2U can help change the face of higher education.